The latest issue of Today’s Dietitian Magazine featured an article on “Gluten-Free Living and Emotional Health: What Every Dietitian Must Know.” In it, they reference celiac.org and quote Marilyn G. Geller, Celiac Disease Foundation CEO, and Janelle Smith, Celiac Disease Foundation’s Registered Dietitian. The article discusses how a deeper understanding of the impact of celiac disease and the gluten-free diet on mental health and quality of life can help Registered Dietitians improve counseling and dietary compliance in patients. The article sheds light on the psychological and emotional consequences of living with celiac disease. It is this recent revelation that celiac disease affects more than diet that motivated Celiac Disease Foundation to form a partnership with Children’s National Health System (Children’s National) to expand mental health education around celiac disease, and to empower healthcare professionals to provide counseling. Read more about this exciting partnership here. A deeper understanding of the impact of celiac disease and the gluten-free diet on mental health and quality of life can help RDs improve counseling and dietary compliance. A strictly gluten-free diet is the only treatment for celiac disease. Without it, patients suffer symptoms such as gastrointestinal (GI) distress, weight loss, fatigue, and delayed growth, and put themselves at risk of other autoimmune disorders and intestinal cancers. And yet, a significant percentage of people with celiac disease report less than strict adherence to their prescribed diet. In a disease where noncompliance often leads to severe and immediate discomfort, with real and significant long-term consequences, understanding the factors that lead to dietary lapses is essential to improving treatment. It’s difficult to measure how well people with celiac disease stick to the gluten-free diet, but a 2009 review by Hall and colleagues found studies indicating that anywhere from 42% to 91% of celiac disease patients report strict adherence.1 In a 2012 study by Anne Lee, EdD, RDN, LD, and colleagues, 98% of celiac patients surveyed initially said they comply with necessary dietary restrictions, but when asked more specific questions the vast majority admitted to times when they knowingly ate gluten.2 “Up to 81% of men and 88% of women said they would tend to cheat in social settings like weddings, birthdays, family gatherings, or when they were out with friends,” says Lee, who serves as professionals manager for the gluten-free food company Dr. Schar USA, Inc. The team approach also helps when it comes to managing ongoing symptoms. “Many people with celiac disease have undiagnosed coexisting conditions like fructose or lactose intolerance, or small intestinal bacterial overgrowth,” Smith says. “They may be mistakenly attributing those symptoms to hidden gluten, leading them to eliminate extra foods, and increasing their burden, their fear, and their anxiety.” An RD is in the perfect position to spot a problem and work with the rest of the medical team to determine what action is necessary. To facilitate this team approach and improve understanding of the medical and psychological factors of celiac disease, the Celiac Disease Foundation and the Children’s National Health System are developing a program to cross-train health care providers. “Children with anxiety and depression are seeing psychologists who are unaware that these may be symptoms of celiac disease. They’re too often diagnosed with ADD/ADHD, depression, and other psychosocial disorders long before their celiac diagnosis,” Geller says. 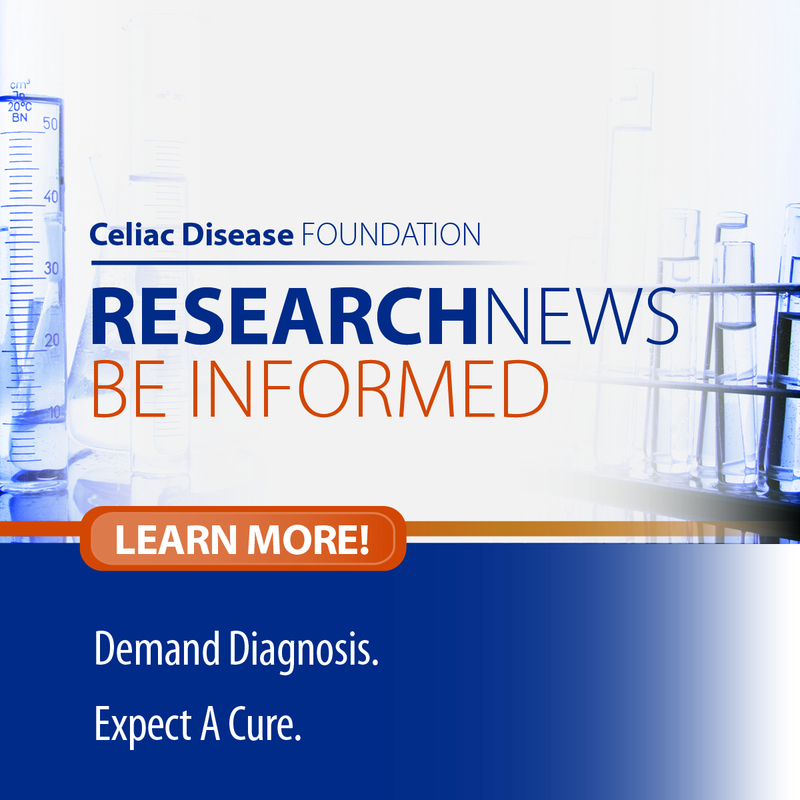 “We’re creating print and digital materials as well as live programs to teach mental health professionals to recognize signs and symptoms of celiac disease, and to help primary care providers and others, including RDs, to recognize the psychosocial component of this disease and make referrals.” The program is set to debut at the Celiac Disease National Conference & Gluten-Free Expo April 30 to May 1, 2016. Awareness of the psychological component of celiac disease, the emotional and psychosocial impact of diagnosis, and barriers to adherence to a strict gluten-free diet can help nutrition professionals improve their work with these patients. Coupled with appropriate referrals, empathetic counseling that empowers clients and gives them the tools they need to navigate their lives without gluten can greatly enhance not only dietary compliance but also the client’s quality of life. 1. Hall NJ, Rubin G, Charnock A. Systematic review: adherence to a gluten-free diet in adult patients with coeliac disease. Aliment Pharmacol Ther. 2009;30(4):315-330. Lee AR, Ng DL, Diamond B, Ciaccio EJ, Green PH. Living with coeliac disease: survey results from the U.S.A. J Hum Nutr Diet. 2012;25(3):233-238. Sdepanian VL, de Morais MB, Fagundes-Neto U. Celiac disease: evaluation of compliance to gluten-free diet and knowledge of disease in patients registered at the Brazilian Celiac Association (BCA). Arq Gastroenterol. 2001;38(4):232-239. Barratt SM, Leeds JS, Sanders DS. Quality of life in coeliac disease is determined by perceived degree of difficulty adhering to a gluten-free diet, not the level of dietary adherence ultimately achieved. J Gastrointestin Liver Dis. 2011;20(3):241-245. Roma E, Roubani A, Kolia E, Panayiotou J, Zellos A, Syriopoulou VP. Dietary compliance and life style of children with coeliac disease. J Hum Nutr Diet. 2010;23(2):176-182. Zingone F, Swift GL, Card TR, Sanders DS, Ludvigsson JF, Bai JC. Psychological morbidity of celiac disease: a review of the literature. United European Gastroenterol J. 2015;3(2):136-145. Gentile C. Celiac disease and mental health. National Foundation for Celiac Awareness website. Updated October 8, 2015. Black JL, Orfila C. Impact of coeliac disease on dietary habits and quality of life. J Hum Nutr Diet. 2011;24(6):582-587. Sainsbury K, Mullan B, Sharpe L. Reduced quality of life in coeliac disease is more strongly associated with depression than gastrointestinal symptoms. J Psychosom Res. 2013;75(2):135-141.